The Oregon-Idaho Annual Conference accepted the challenge to join in the denomination’s global initiative, “Abundant Health: Our Promise to Children” At our 2017 Annual Conference. 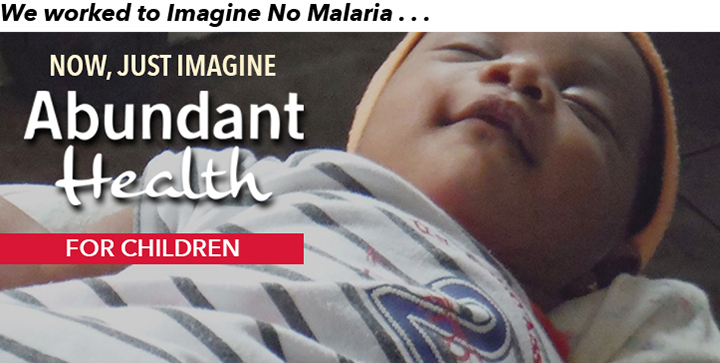 The health initiative that was kicked off at the 2016 General Conference by the General Board of Global Ministries (GBGM) builds on the success of Imagine No Malaria. Abundant Health makes five promises to children: to ensure safe births, promote breastfeeding and nutrition, prevent childhood killer diseases, encourage treatment-seeking behaviors and provide treatment and lifesaving commodities. The goal of reaching 1 million children with lifesaving interventions by 2020 is focused on communities, primarily in Africa, with high child mortality rates from preventable causes. In particular, the campaign will support efforts of faith-based partners in Nigeria, the Democratic Republic of Congo, Liberia, Mozambique and Sierra Leone, as well as Haiti. In addition to volunteer time, GBGM is committing $10 million in medications, supplies, and commodities and $30 million to partners working in rural and underserved communities. But U.S. church members will also play an important role. “In the U.S., we’re calling on as many churches as possible to help us participate in global health work by addressing congregational health issues and reaching beyond the congregation to the community,” said Dr. Olusimbo Ige, executive director of GBGM's Global Health program. The goal is to engage at least 10,000 U.S. churches in promoting physical activity, healthy diet and nutrition, education for tobacco- and drug-free living, and mental health education. Abundant Health: Our Promise to Children” is affiliated with the United Nations program, “Every Woman Every Child: The Global Strategy for Women’s, Children’s and Adolescent’s Health.” The campaign’s name and theme, Abundant Health, is taken from the Gospel of John 10:10 “I came that they may have life, and have it abundantly,” according to Thomas Kemper, General Secretary of GBGM. The United Methodist Church’s accomplishments in its Imagine No Malaria campaign led to this new partnership with the United Nations. “Being a faith-based organization engaged in the public conversation about Global Health has given us a seat at many international health tables” Kemper said. See the list of suggested activities in each of these four areas, in which your congregation can engage. The Global Health unit gives grants to assist local churches, districts and annual conferences to develop and sustain ministries of health, healing and wholeness to children around the world. Gifts support Abundant Health projects in six countries. To donate to support children health needs globally see the gift catalogue. Give to the Global Health Advance #3021770. Substance abuse prevention and children’s mental health. Questions? Contact Abundant Health coordinator Rev. Marshall Wattman-Turner at abundant.health@umoi.org.